After going through the most important day of your life, it is only fitting that you search for the best honeymoon destination in the world. With this in mind, here are 10 of the most perfect honeymoon destinations around the world. Surrounded by a lagoon and a barrier reef, Bora Bora is one of the most beautiful tropical getaways. Though most of the attractions here are aqua-centric, such as diving and snorkeling expeditions, there are also some non-island specific places to see. These include old WWII cannons and local shops to purchase souvenirs. Bali is a beautiful tourist destination for its rich culture and art. There are a variety of notable temples that tourists come to visit in Bali, including Tirta Empul Temple, which is known for its healing waters and Pura Taman Ayun. In addition to this, visitors can canoe at the Gitgit Waterfall, or simply visit displays of art, music, dance, sculpture or similar artistic categories. If you want a more tropical feel, Bali also boasts one of the most bio-diversity arrays of marine life. For those looking for the thrill of the nightlife, Ibiza could be one of the perfect honeymoon destinations. Ibiza is recognized as one of the prime countries for electronic dance music. It also hosts a variety of festivals throughout the year. Of course, if a more mellow vacation is more up your alley, don’t knock Ibiza off your list. Many parts of the island are registered as UNESCO World Heritage Sites, holding some historical beauty. One of the most popular honeymoon cruise destinations, Maui makes for a beautiful tropical getaway. The second largest of the Hawaiian Islands, Maui has a variety of spots for tourists to visit, so many so that most visitors find they simply do not have enough time to see them all. The Haleakalā National Park is one notable place to visit, as it is home of the dormant Haleakalā volcano. Of course, Maui is also a great spot for water activities, such as snorkeling, windsurfing, surfing or simply watching the sun set on a white sandy beach. Nassau is one of the most popular cruise destinations in the entire world. Historically, Nassau was known as a pirate port, which provides some of its tropical allure. With many island themed restaurants and shops, Nassau is a tourist city in the truest sense. The Atlantis Resort is one attraction that many people visit even if they are not staying in Nassau. This is due to the fact that it has a waterpark at the resort, with aquariums, beautiful architecture and even an underwater walkway to view marine life. In addition to all of these island attractions, there are historical sites, such as the Endue House, Christ Church Cathedral and the Nassau Public Library. Comprised of 118 tiny islands linked by bridges and canals, the entire city of Venice is listed as a UNESCO World Heritage Site. One of the iconic things to do for honeymooners is to take a ride in the gondola and simply explore the canals around the city. The Venice Film Festival is known worldwide and offers those with an interest in the arts great exposure to this part of the world. For many, the simple beauty of the city itself is enough, especially when you look at areas such as St. Mark’s Basilica or Doge’s Palace. The state capital of New South Wales and most populous city in Australia, Sydney is a popular honeymoon destination for those more interested in the art and cultural aspects of a vacation. Referenced often in pop culture, the Sydney Opera House is a must see location for anyone visiting. In addition to this, there are plenty of museums and art galleries, including the Museum of Contemporary Art, Australian National Maritime Museum, Powerhouse Museum and others. If games of chance are more your style, you should pay a visit to the Star casino. As the most populous city in India, Mumbai enjoys a rich culture and serves as a unique tourist destination. With both contemporary art galleries and older attractions, such as the Asiatic Society of Bombay, one of the oldest libraries in the area, Mumbai offers attractions that will really appeal to those who appreciate culture. The Chhatrapati Shivaji Terminus is another notable attraction in Mumbai, and enjoys a spot as a UNESCO World Heritage Site. Mumbai also houses a beautiful zoo called Jijamata Udyaan, which houses many endangered and rare species. 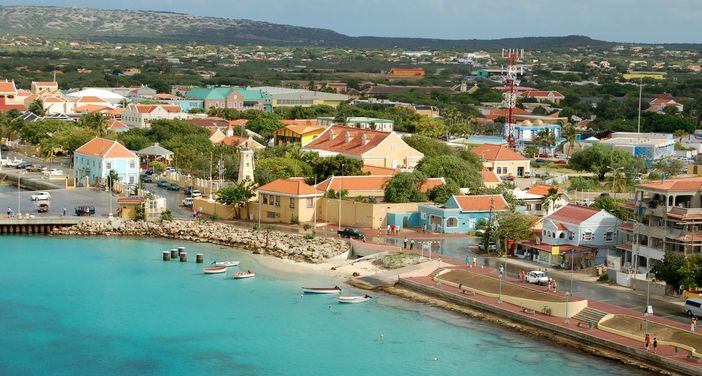 Known mostly for its rich Dutch culture, the government of Oranjestad is going to lengths to ensure that this cultural heritage is maintained. For the most part, this old Dutch feel is what people come to Oranjestad to see, but recently some more modern attractions have emerged, including an outdoor shopping mall at Royal Plaza. Architects are often attracted to Oranjestad because parts of the island are actually man-made extensions of the land. 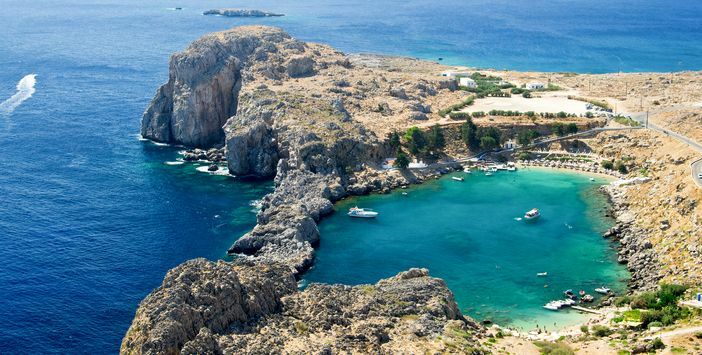 One of the most popular destinations in Europe, Rhodes has a history spanning back to ancient times with the Colossus, which is one of the Seven Wonders of the Ancient World. In addition to The Medieval Old Town of the City of Rhodes, which is a UNESCO World Heritage Site, Rhodes houses many ancient ruins and beautiful attractions. The Palace of the Grand Master is a large castle located in Rhodes, and offers tourists a look back into the medieval world. With all of the rich history around the city, it is easy to miss many of the ruins and attractions that Rhodes has to offer. Of course, each of these perfect honeymoon destinations is visited by major cruise lines and they each also qualify as an unforgettable experience. Regardless of which is your own top honeymoon destination, each of these locations has its own unique appeal. Don’t let yourself settle for anything less than the best cruise on your honeymoon, and book one of these dream getaways today.